What’s better than queso at Tijuana Flats? FREE queso! That’s right, this Friday April 12th – Sunday April 14th, purchase any adult entrée and score a free queso! Just show or mention this offer. But wait, there’s more! Show Them How You Queso! 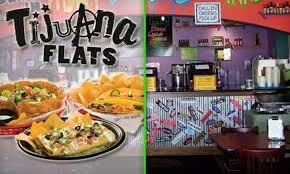 Tag Tijuana Flats and share a picture or video using #CheesyForFlats for your chance to win $50 in Flats Cash. Valid in-store only. Must mention or show offer to redeem. Limit one small queso with purchase of a regular priced adult entrée. Not valid with any other offer or promotion. Visit https://tijuanaflats.com/locations to find your nearest location.